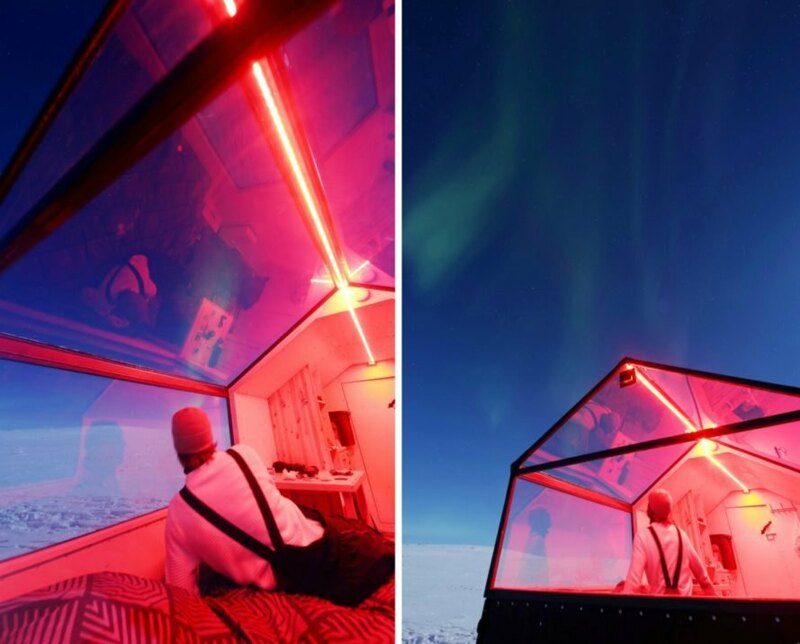 For years, transparent bubble-type lodging has been all the rage for enjoying the Northern Lights, but now there is a better way to observe this natural phenomenon. 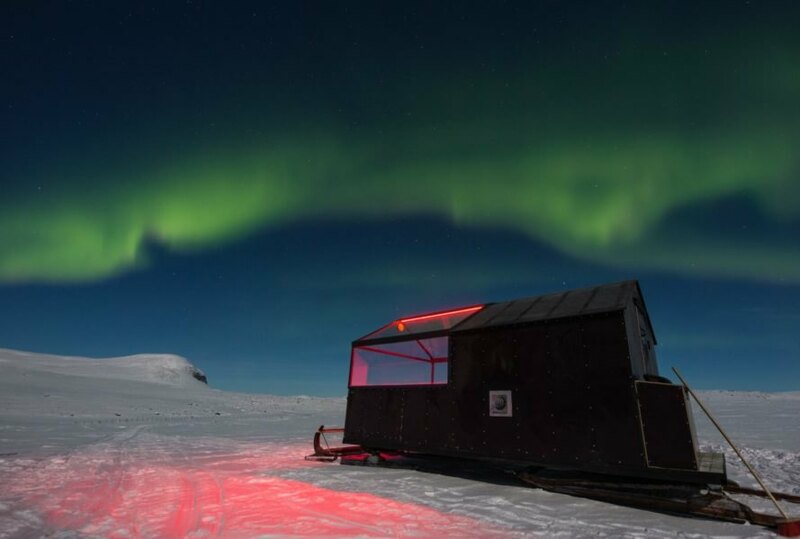 One inventive tour operator, Off the Map Travel, is offering guests a roaming hotel sled that makes it easier to see the Northern Lights in arctic Finland, all without stepping out in the cold. 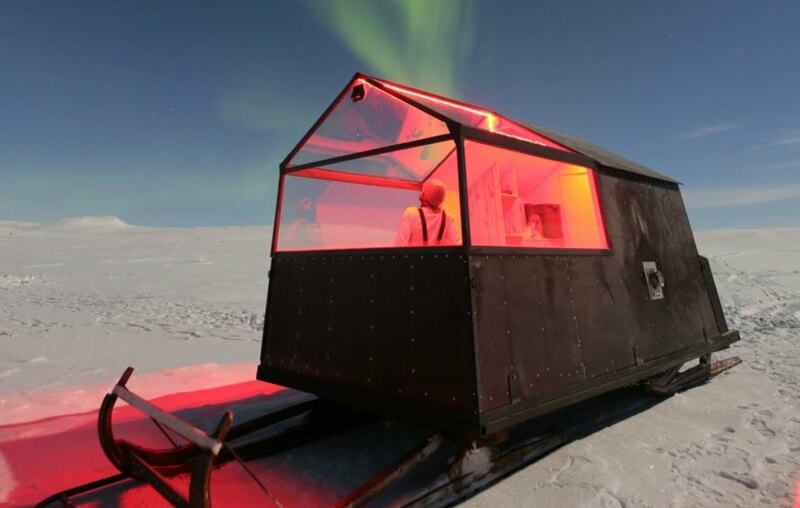 As part of the Aurora Wilderness Camp, Off the Map Travel offers three mobile hotel rooms that are built on sleds for the sole purpose of watching the Northern Lights. Although they are a sight to be seen, the famed lights are notoriously hard to locate. 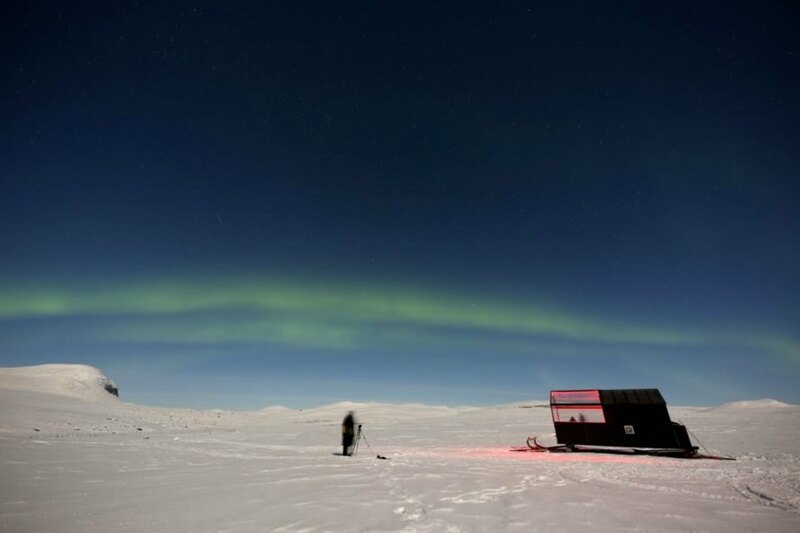 Being mobile is the key to success in finding the colorful light show. 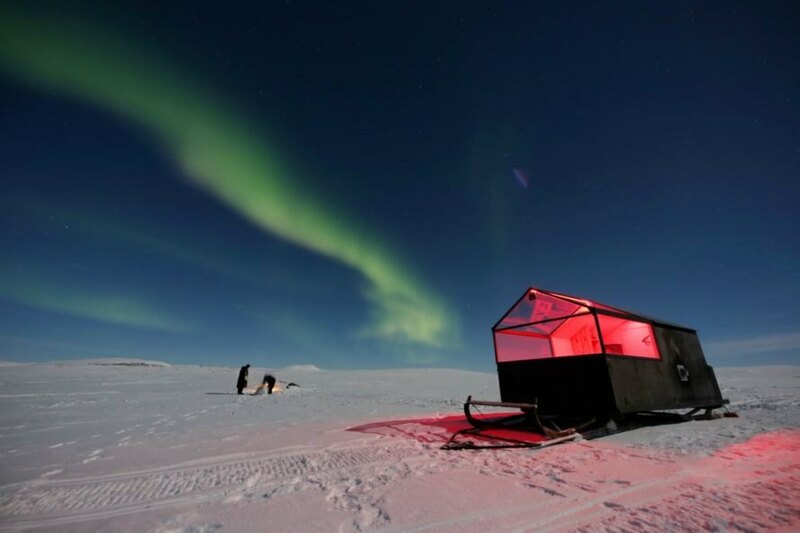 At eight feet wide, 15 feet long and 6.5 feet high, the sled hotels are compact and fit only two people. On the interior of the tiny cabins is a bed, a dining table and little else. The space comes with a heater to keep you warm and cozy. Snow shoes and individual sleds are also available upon request for outdoor enjoyment. 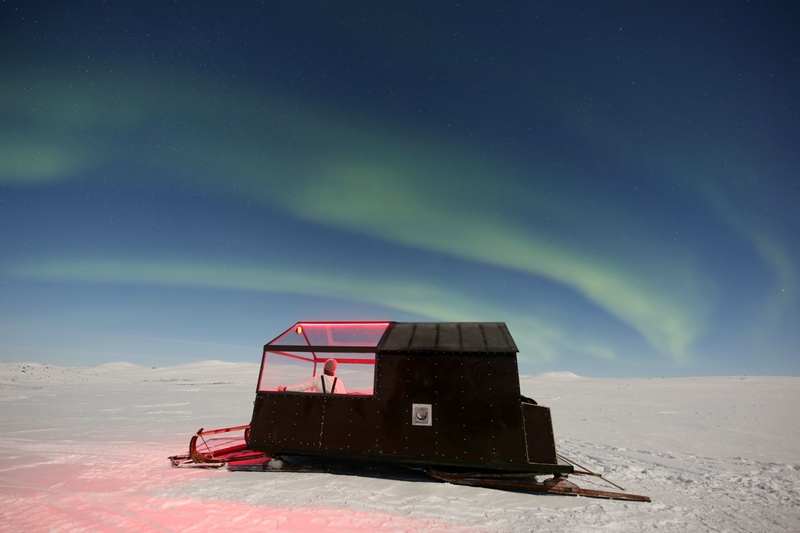 As part of the Aurora Wilderness Camp, Off the Map Travel offers three mobile hotel rooms that are built on sleds for the sole purpose of watching the Northern Lights. Although they are a sight to be seen, the famed lights are notoriously hard to locate. Being mobile is the key to success in finding the colorful light show. At eight feet wide, 15 feet long and 6.5 feet high, the sled hotels are compact and fit only two people. On the interior of the tiny cabins is a bed, a dining table and little else. The space comes with a heater to keep you warm and cozy while you watch the lights through the glass ceiling.